Soft and soothing colours like Pale Powder, Teresa’s Green and Green Blue are perfect for creating a relaxed and calming environment. 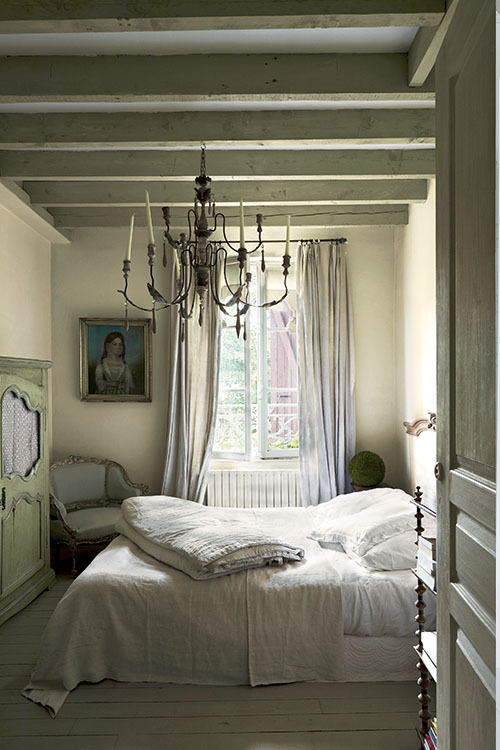 The slightly muted shades of French Gray, Light Blue and New White also work really well in creating a soothing effect. Couples are often drawn to Cream (with a hint of yellow for the ladies and a hint of grey for the men). 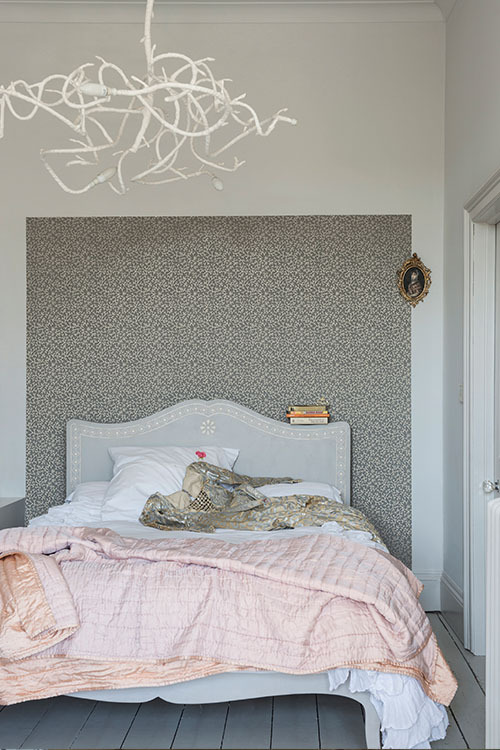 However, for a more feminine feel, you could try painting a bedroom in Calamine with a Cinder Rose ensuite, or for a more masculine room you could use Stiffkey Blue in the bathroom alongside a Skylight bedroom. 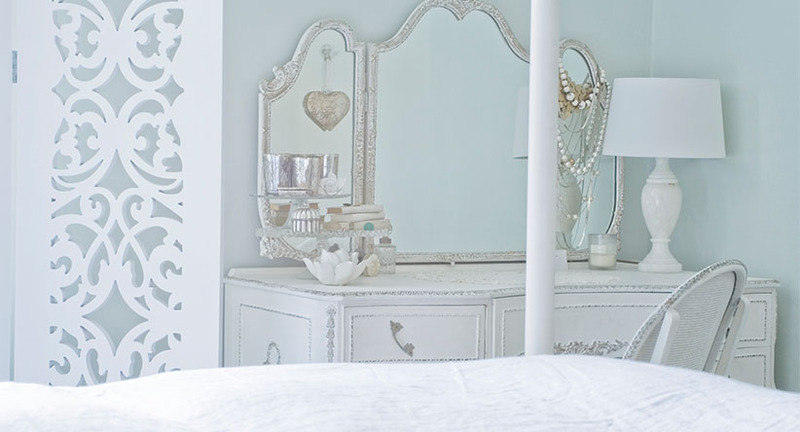 Adding accents of colour is another great way to update a bedroom. 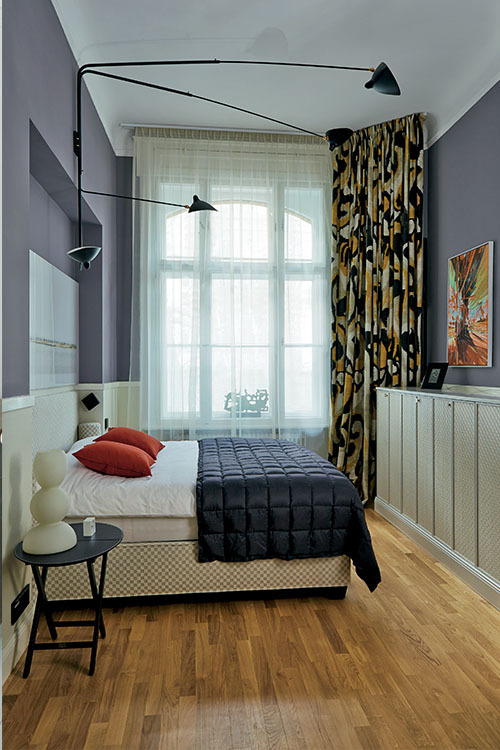 Choose colours that complement your existing wall colours and use them on furniture to create a whole new look and feel in the room. 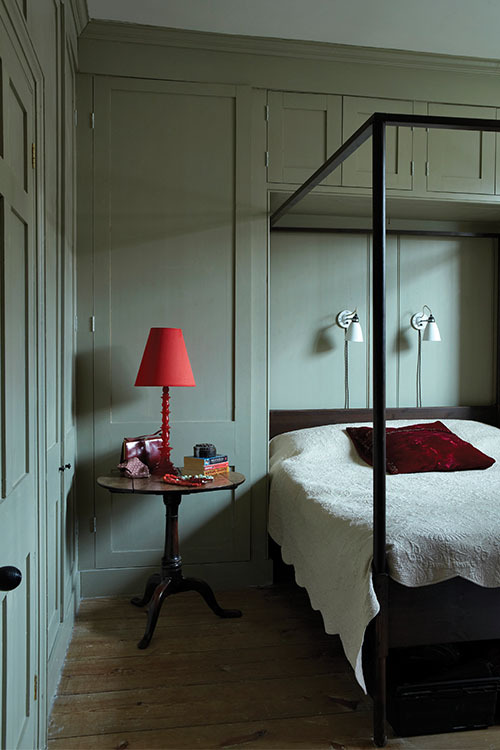 Strong colours such as Churlish Green and Pitch Blue, are great for adding a pop of colour to rooms that feature a more neutral backdrop. 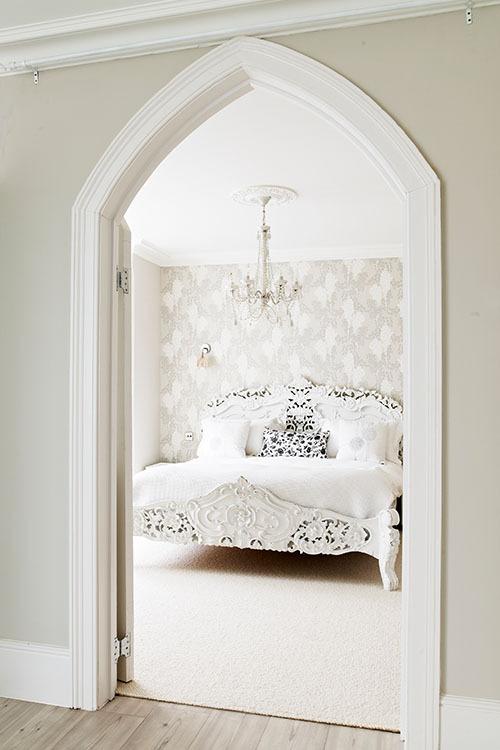 Wallpaper feature walls look great in bedrooms, especially when used on the wall behind the bed. Try our Samphire design for a delicate and tranquil feel. 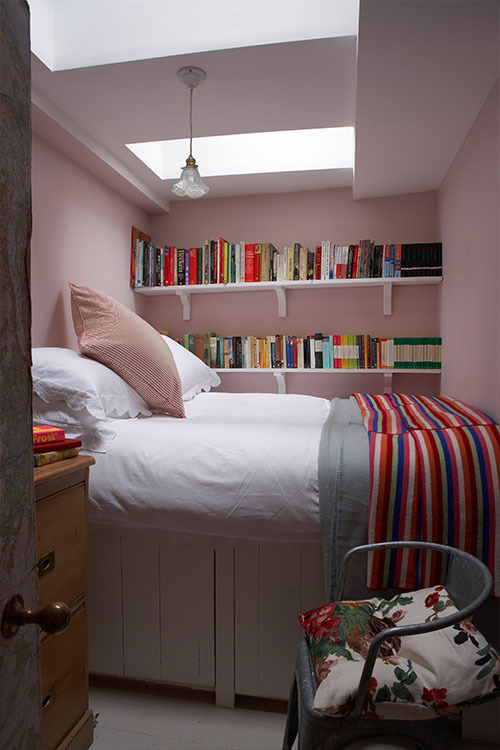 Use it on the shorter wall if want to make your room appear more square and cosy than it is. 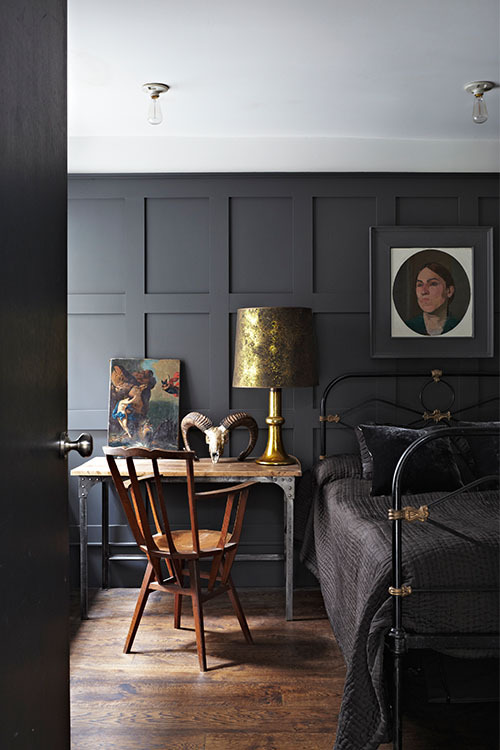 Finally, if your bedroom is very dark, don’t fight nature; use a strong colour like Brassica or Railings to create real drama and intimacy.